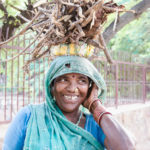 Normally if you ask me which is my favorite state to travel in India I will give you some Global Gyan, a random quote or two from Shree Tolkien Jee, and if I am in a pensive mood I may even invoke Rumi. All that just to make sure that other states of India may not feel jealous of Kerala, my favorite state in India, but hey can you blame me? When it comes to Kerala even God decided to play favorites and decided to make Kerala her home. ( Yes God is a Woman, don’t let anybody make you believe anything else ). I don’t think I need to sing hosannas in praise of the natural beauty of Kerala that offers surreal sunsets, fragrant forests, languid lakes and above all the wonderful people of Kerala who will immediately declare you a friend. 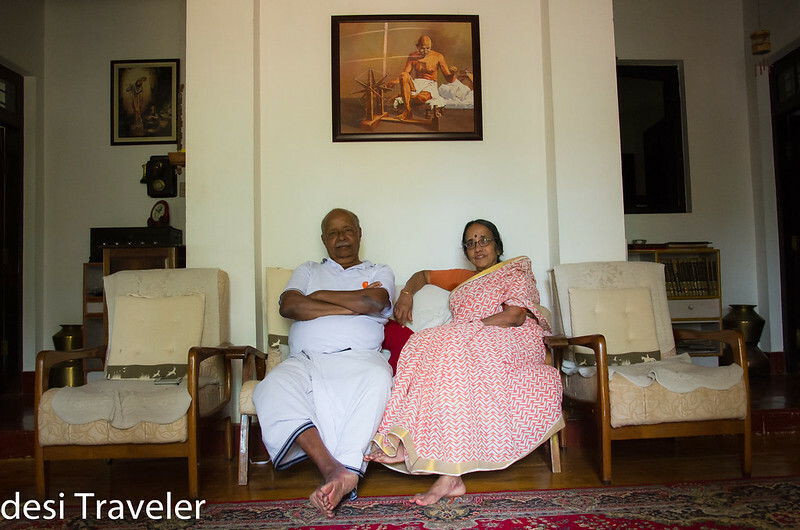 So dear desi Travelers let me dedicate this post to some of the wonderful people I met during my travels in Kerala and share some of the portraits I have clicked in God’s of Country of his very own people. 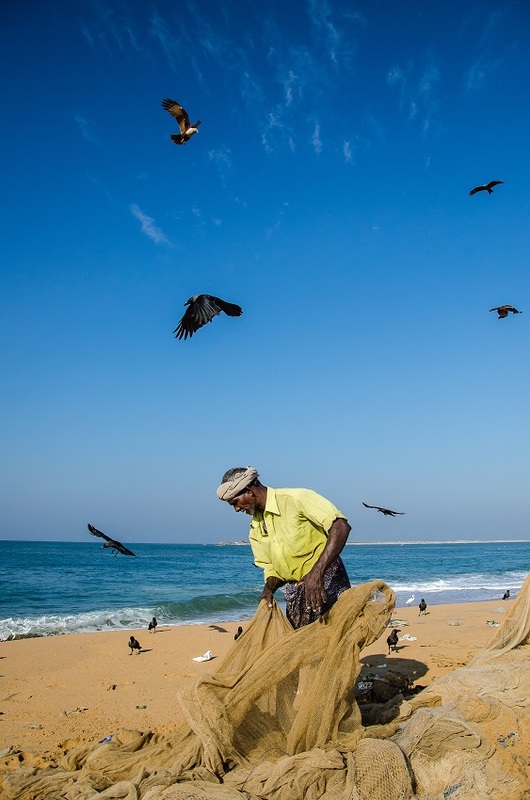 You will clearly find a bias towards portraits of Kerala Fishermen in this post as I have spent maximum time on the beaches of Kerala it is but natural to click images of fishermen on the beaches of Kerala. 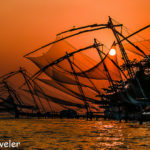 As I was walking along the bank in Fort Kochi area looking for some things to shop, a collective song rose over the cacophony of honking vehicles, and sales pitch of street vendors, engulfing me in ” Hiya, Ho, Hiya Ho “. I could not understand a word of the song but it was almost like a war cry from men with calloused hands, sweaty shirts and chest and arms chiseled by working on the nets every single day. These fishermen had never seen the inside of a gym but could easily pose for Michael Angelo for one of his masterpieces, showcasing human masculinity. 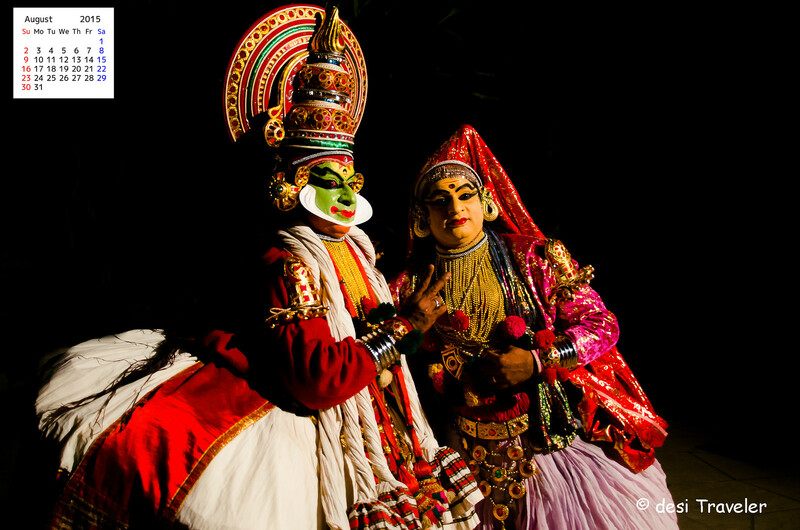 Think of Kerala and you are bound to think about the traditional dance forms like Kathakali & Mohiniyattam. 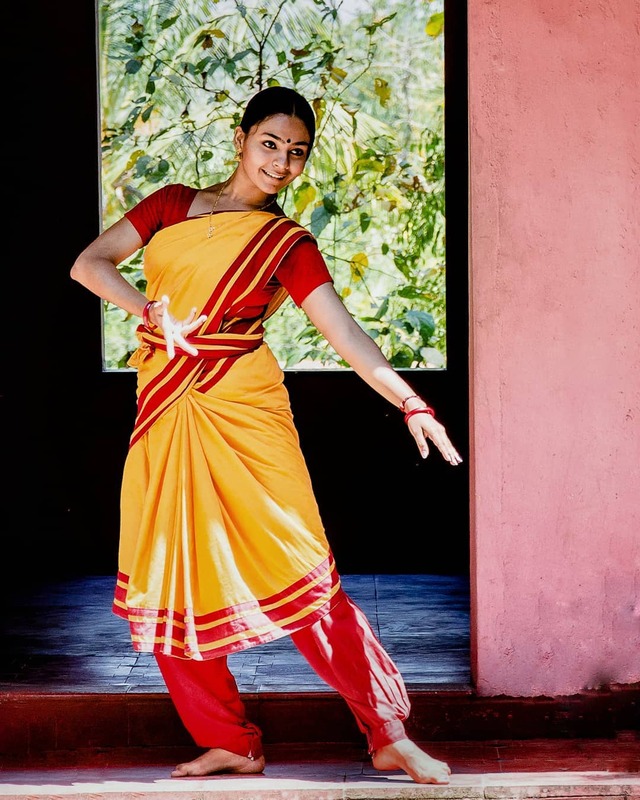 When I was in Kerala I was fortunate enough to see some of the performances and needless to say I was totally mesmerized by the graceful movements, beautiful songs, and the way the artists depict emotions using facial gestures, eye movements etc. During one of my visits, I also visited Kerala Kalamandalam in Thrissur, a deemed university where students are formally trained in various aspects of classical Kerala art forms. 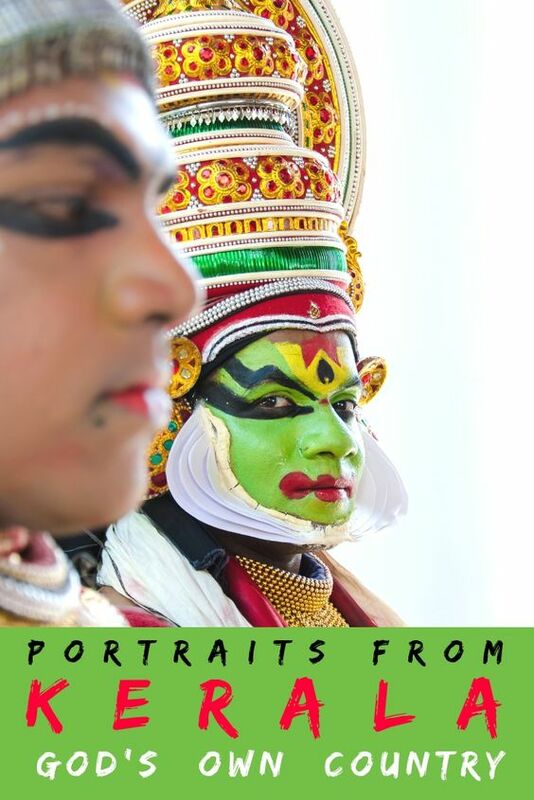 This above image was clicked at Kerala Kalamandalam, a deemed University that imparts knowledge in the classical dance and music forms of Kerala. I still remember that afternoon, we have been clicking students in various classes in our group and then everybody left for other classes. I stayed back as I was trying to find the bird that was chirping in one of the trees nearby. As luck would have it, for some reason this student came back to keep something in the room, she was in a hurry to leave as her friends were waiting, but still, she kindly agreed to show me a dance move as I pointed towards my camera. 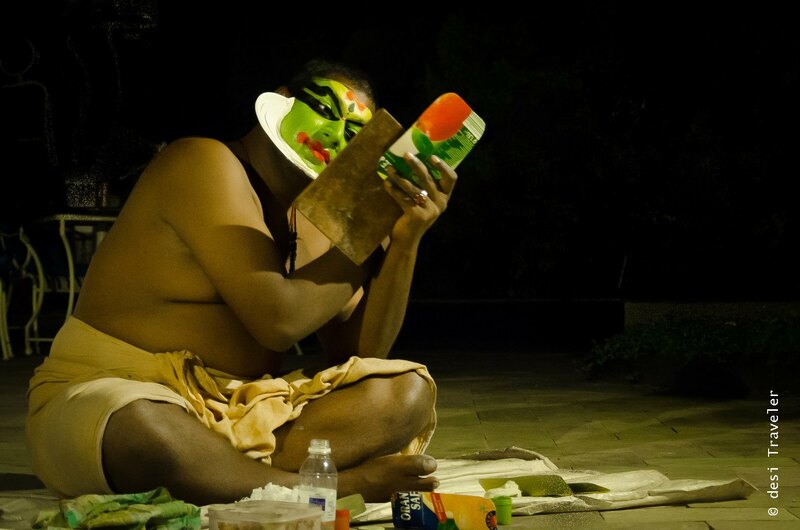 I think the encounter lasted less than 45 seconds, and I did not even ask her name but I got one of my favorite Portraits from the Kerala Kalamandalam. PS: BTW this was technically one of the toughest portraits for me to click, that I have shared in this post. Can you guess why? 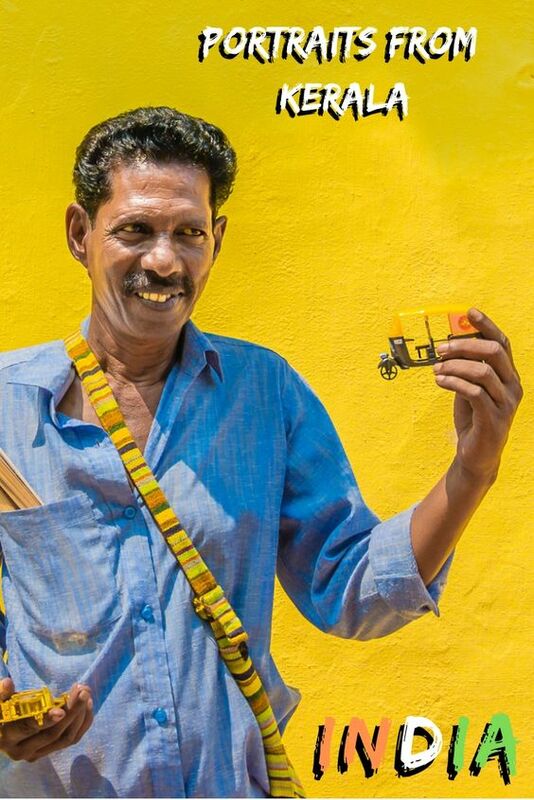 Next, we have a street vendor selling toy auto rickshaw in Fort Kochi. 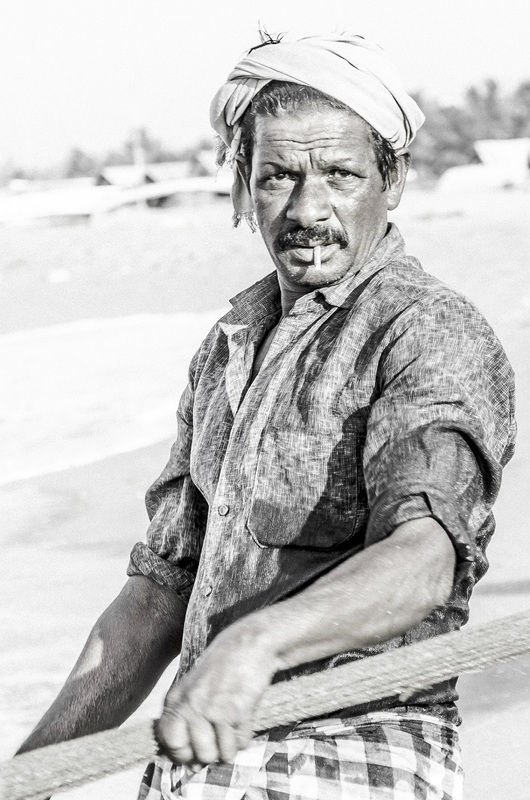 It was a typical warm sunny day with harsh sunlight falling, hence the harsh shadows on his face in this portrait. 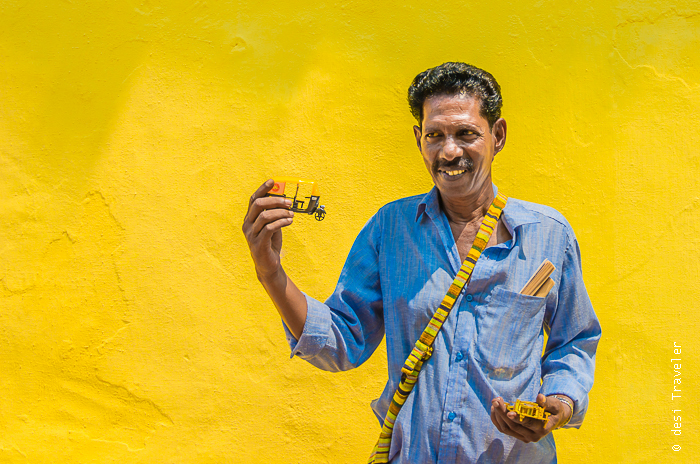 From Street Vendor let us go to the portrait of a Cafe owner in Fort Kochi, Mr. Tom owns a quaint cafe in Fort Kochi and is always happy to help travelers. He is the guy who appeared in my picture of the Cyclist zipping past the stationary Ambassador Car. The Ambassador car in the image belongs to his father and he has special permission to keep it because of nostalgia value. Click this link here to see the image of Cyclist & Ambassador I am talking about. 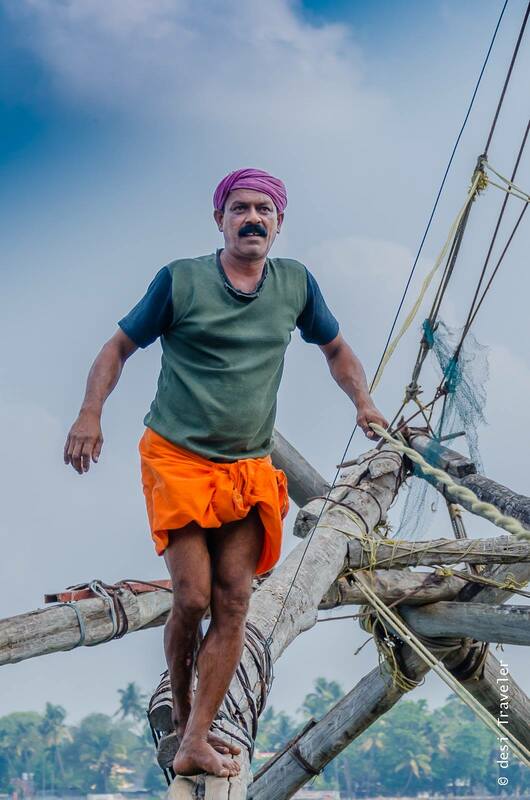 Now since we are talking about food let me share this Portrait of the Prima Donna of Kerala Cooking from Fort Kochi Nimmy Paul. If you are one of those folks to whom travel for food is a pilgrimage, Nimmy’s home cooking is what culinary blessings are made of. 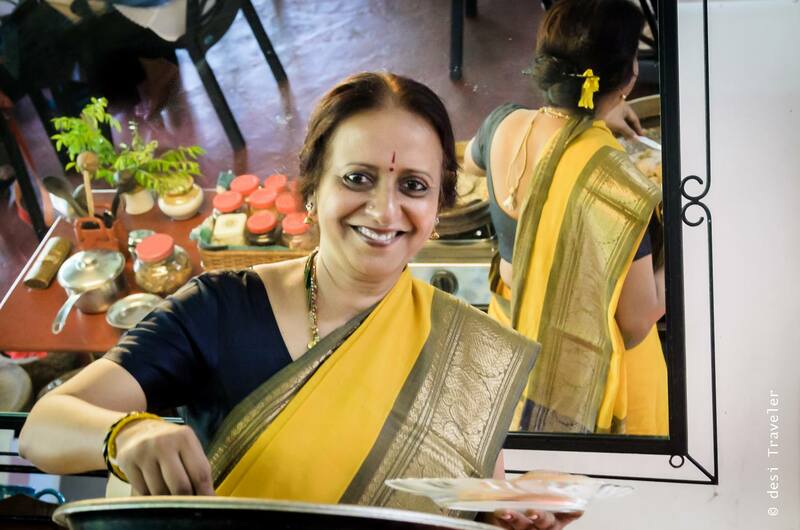 If you are in Fort Kochi and are looking for an authentic home-cooked Kerala food experience you need to contact Nimmy and book a day learning and enjoying her food. Next, we have a portrait of a woman shop owner from the Jew Town Fort Kochi. 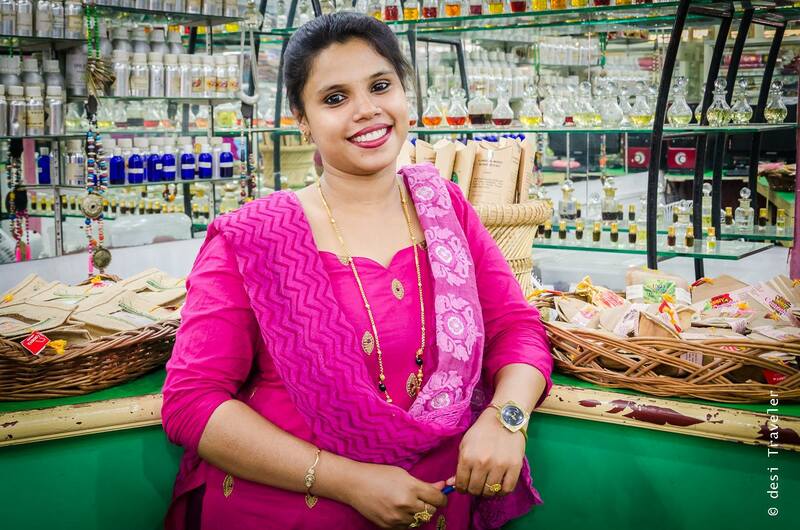 Her name is Indira and she runs a curios /perfumes/clothes showroom in the Jew Town area. We chatted for sometime and I also visited there shop on my second visit too when I bought some dress for my daughter. 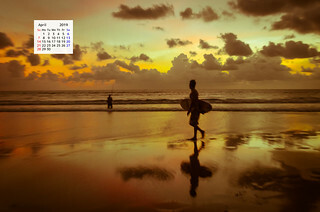 This image was clicked on my first visit. 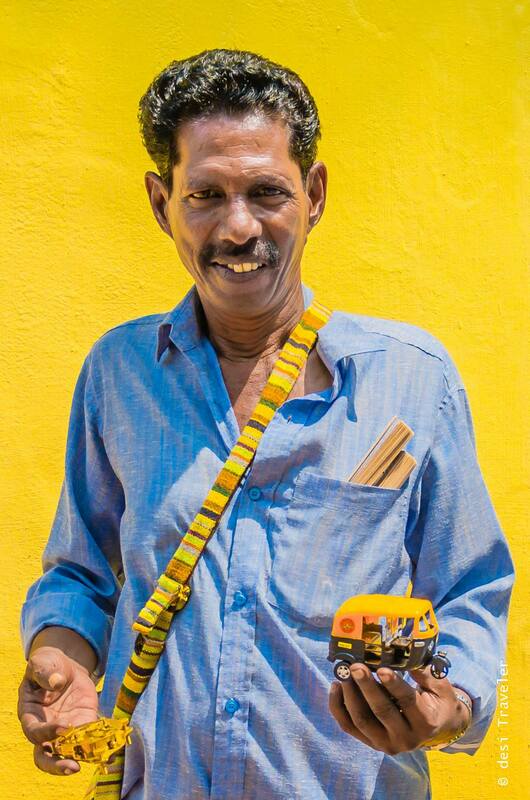 I am sure you are wondering if I have images/portraits clicked in other parts of Kerala besides Fort Kochi in Kerala? Now let us meet Ron who was our driver when we were traveling in Kerala during the first Kerala Blog Express Trip. Ron is one of the finest bus drivers you will ever meet. 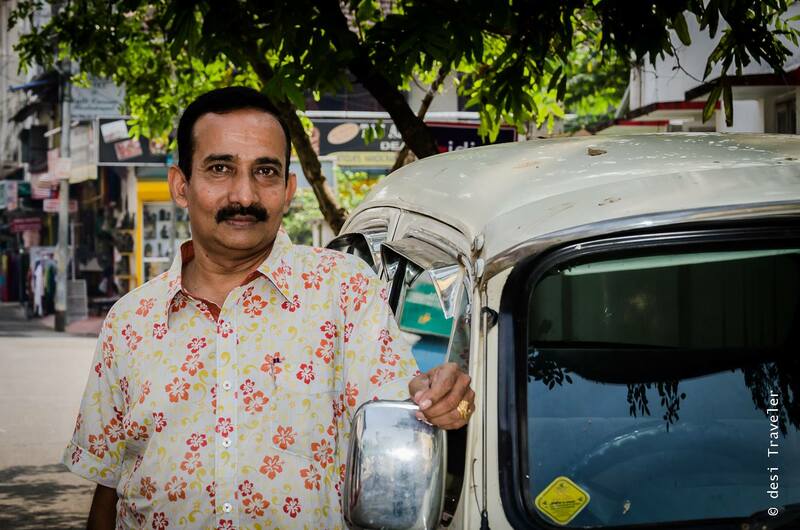 He never drives rashly, never honks ( a rare thing in India) and Ron never lost his cool even when he encountered idiots on the road. I wish more drivers in India were like Ron. 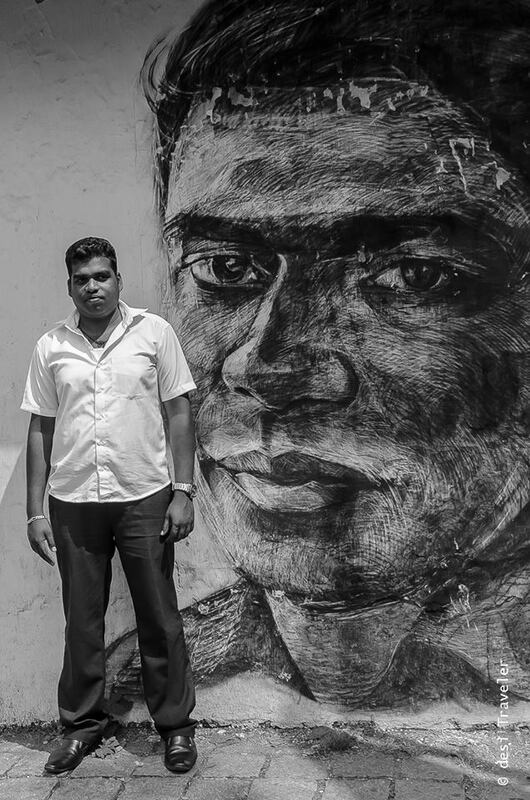 This image again was clicked in the Fort Kochi area where we found a street art portrait of a guy who looked like a brother of Ron lost during the Kumbh Mela. 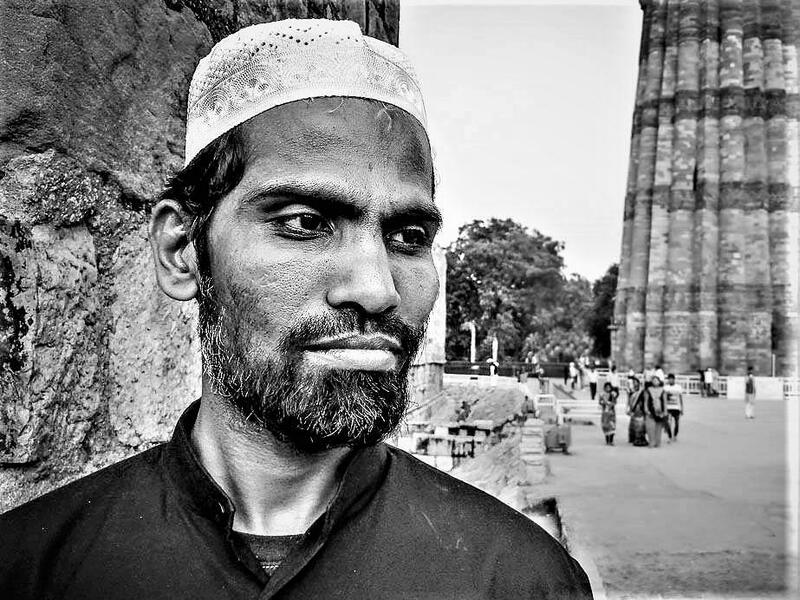 Last but not the least I am sharing a portrait of a Kerala man who I clicked at Qutub Minar in Delhi. He is a teacher and was visiting Delhi to see the monuments of Delhi. I was testing one of my SST phone ( Sasta Sunder Tikau phone ) when I clicked him with Qutub Minar in the background. 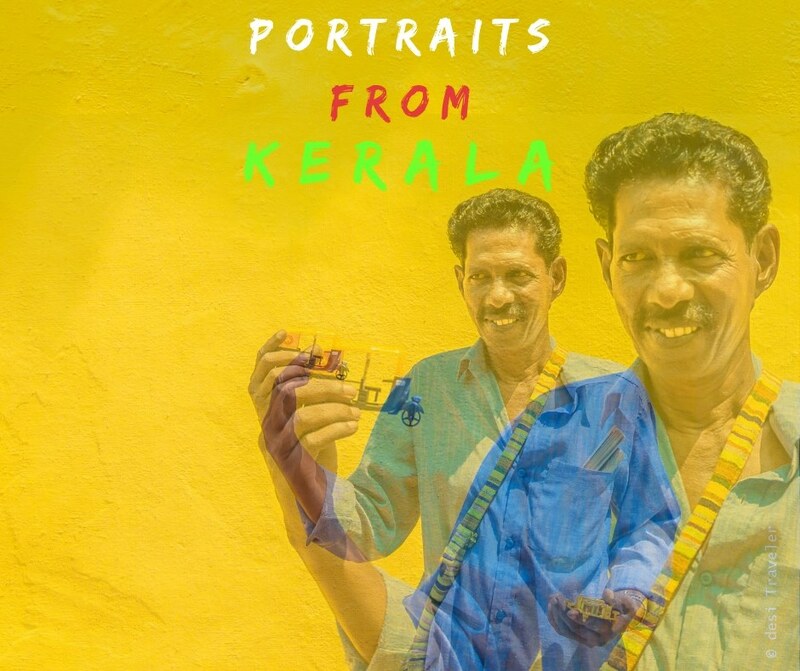 Well, this by any means is not all the portraits that I clicked in Kerala of my friends from Kerala, but I guess these are some of my absolute favorites, maybe a part 2 sometime in future? What do you say? Which one of these portraits do you like the most & Why?